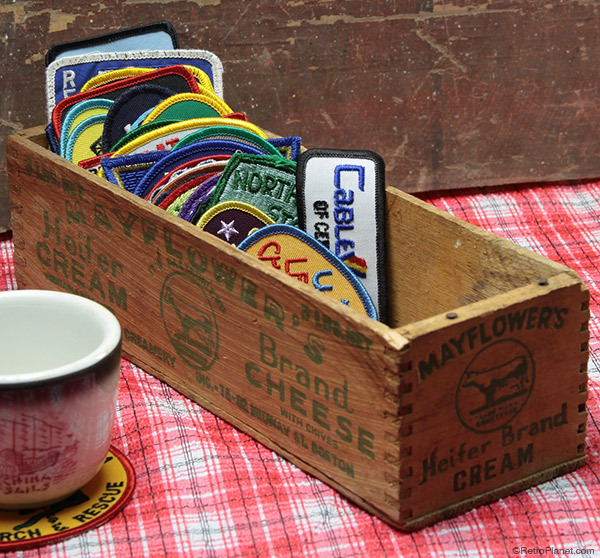 Vintage embroidered patches are easy to find at flea markets and antique stores. 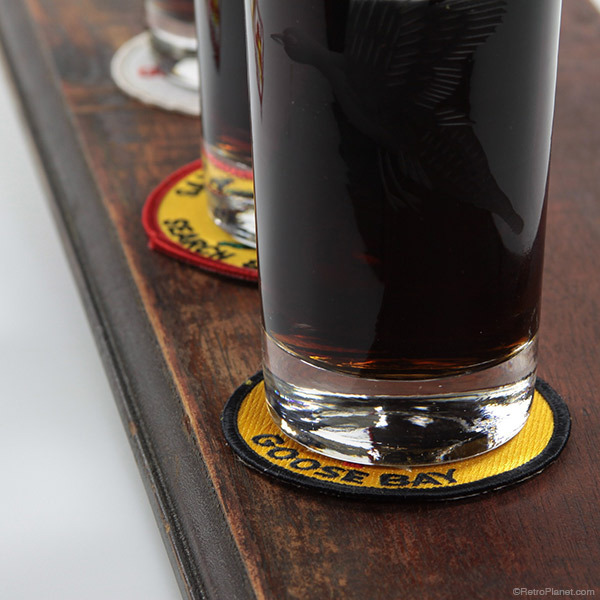 A great idea for repurposing vintage embroidered patches is to use them as fun drink coasters. Embroidered patches are cheap and easy to find on eBay or at antique stores. Show off your love for vintage decor and reclaim old patches—with a wide variety of subjects, there’s something for everyone. From classic rock-and-roll, motorcycles, cars, organizations and clubs, there are all types of novelty subjects. Whether you’re an enthusiast for bowling, travel or or conservation, there are patches that you’ll be able to find for all sorts of interests. Protect table and bar surfaces with fun embroidered patches. 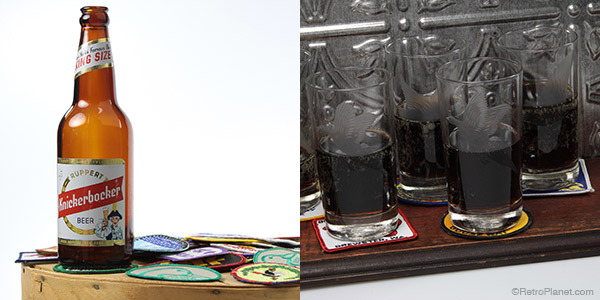 Stylish, useful and cool are just some of the ways to describe these unique drink coasters. There are a wide variety of subjects to be found on vintage embroidered patches. 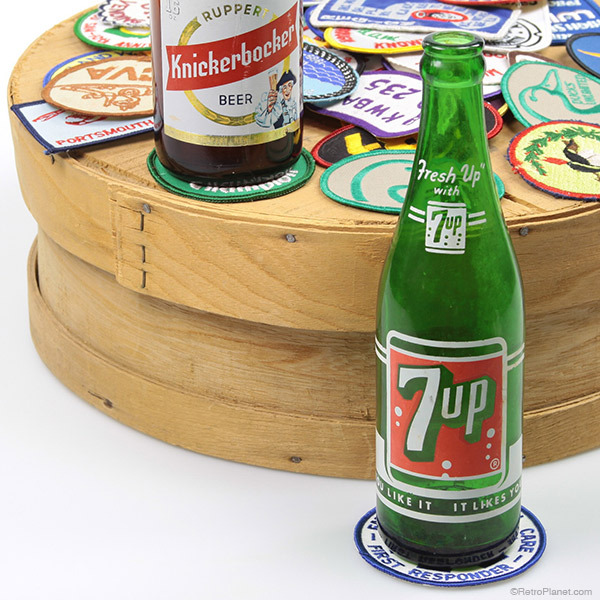 Reclaimed embroidered patches make terrific retro style drink coasters. Buy them in bulk if possible, and then you have a small collection to display on your coffee table, at the ready for when guests arrive. This could be the beginning of a new hobby—so be on the lookout next time you’re at a flea market or antique store. You’re sure to be surprised at the variety of patches you’ll find! What else makes for nostalgic coasters? 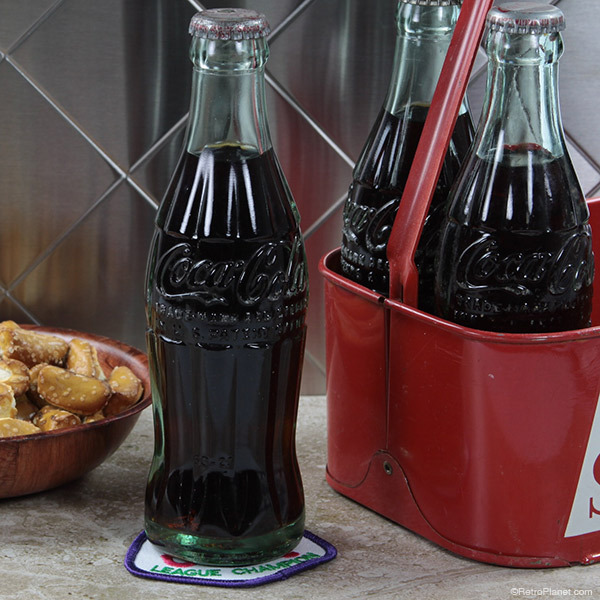 Read our post about repurposing branded ashtrays.